Nowadays, obesity is considered more or less like an epidemic sine it has affected a lot of people all over the world. Overweight cusses other explicit problems in human body. Thus said, it doesn’t mean that one cannot lose weight. 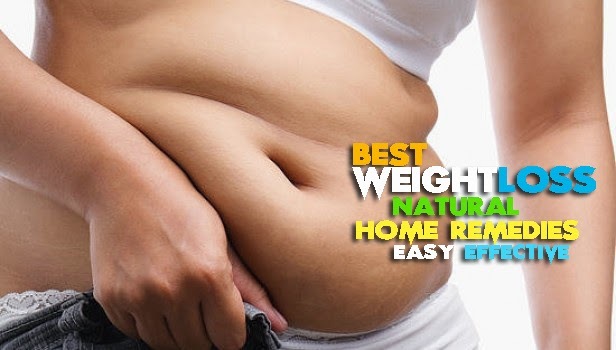 With the help of certain home remedies, one can definitely lose the extra weight. Overeating, Wrong eating habits 7 timing, Consuming alcohol in large quantities, Stress, tension, and, depression, Lack of exercise, Genetic disorders, Hormonal imbalance, such as under active thyroid,, ovarian syndrome, Lack of sleep, Inactive, Sedentary lifestyle, Intake of fast food, junk foods, oily snacks, Certain medications, Emotional Factors, Pregnancy, Family history. High cholesterol level, heart diseases, excessive sweating, hypertension, Stress, depression, Pain in joints, neck and back, higher value of (Body Mass Index) BMI, Tiredness during physical work or activity, Difficulty in breathing, saggy chest or breast, waist, thighs, calves etc, Difficulty sleeping, Snoring. The cinnamon diet plan contains 500 mg. of cinnamon at breakfast, 1,000 mg. of cinnamon at lunch and 500 mg. cinnamon at dinner. 1. Add cinnamon to green tea or ginger tea or coffee. 2. Sprinkle cinnamon powder on your daily breakfast, salad, dinner & other meals & snacks. 3. Drink 1 table spoon honey with small glass of warm water or lemon juice and add 1 or 2 tablespoon cinnamon powder on empty stomach. Result will be very remarkable in 15 days. Try it. You can also drink this mixture 2-3 times a day. Remember- don’t add cinnamon powder with sugar. Jujube is rich in vitamin A, B2 and C. It is also packed with so many nutrients that are required for our body such as phosphorus, calcium & iron. 1. Soak a handful of (Indian Plum) jujube leaves in a bowl of clean water overnight. 2. In the next morning, strain the water properly and drink it on an empty stomach (within 15 minutes when you wake up). Repeat this every morning. 3. You will see noticeable results within few weeks. Fennel seeds are good for improving digestion thereby it leads to weight loss and it is considered to be an effective herb to lose weight. This is mainly due to the diuretic property fennel seeds possess. It reduces water retention in the body and leads to weight loss. However, fennel seeds do not cause weight loss on a long term. · Dry roast fennel seeds and grind them. · Now sieve this powder. · Mix half a teaspoon of the powder in warm water. · Consume this water twice every day. · This would also relieve one from indigestion, abdominal gas and even constipation. · Drinking fennel tea around fifteen minutes before taking food is also good. Curry leaves enhance the enzymes that assist digestion thereby helping the system to easily breakdown food and using the nutrients efficiently. Eating curry leaves enhances the metabolic rate. · Consuming around 10 curry leaves (fresh ones) every morning is a good ayurvedic remedy which reduces obesity and also has a good impact on diabetes that is caused by obesity. This should be continued for at least 3 - 4 months. Apples and apple cider vinegar contain pectin, which enhance weight loss. Some studies revealed that consuming foods rich in pectin along with proper calorie restrictions and good amount of exercise even resulted in losing weight up to three pounds a week. 1. Mix one tablespoons of apple cider vinegar in a glass of warm water. Drink this mixture daily in the morning (within 15 minutes when you wake up) on an empty stomach and one teaspoon with warm water 30 minutes before lunch or dinner. 2. You can also try this, Mix one teaspoon of apple cider vinegar, one teaspoon lemon juice and 1 tablespoon of honey with glass of warm water, mix them well and consume twice a day on an empty stomach. A person can consume maximum of two tablespoons of apple cider vinegar per day. One should definitely not consume more than this since it could lower the potassium content in blood over a period of time thereby lowering mineral density of the bones. It contains curcumin, a polyphenol that is responsible for weight loss. This curcumin prevents growth of fat tissues thereby enhancing weight loss. Aloe Vera stimulates the rate of metabolism and this aid in maintain, stabilize and reduces the body mass index BMI. Aloe Vera detoxified our body and flush out dangerous waste and elements from our body. Aloe Vera juice is known as a laxative, due to which food is forced out of the colon faster. Therefore, a lesser amount of energy is absorbed from the food. Aloe Vera is very beneficial & known as 'the dietary plant'. 1. As aloe Vera juice has a bitter flavor, so while drinking mix with vegetable and fruit juice, which will make it edible. 2. Drink 1 teaspoon aloe Vera juice with warm water once in 2-3 days for 2 weeks on an empty stomach. Aloe Vera juice can be mixed with various fruit juice. Don’t boil aloe Vera juice or pieces in hot water. If you are taking some medicines then consult your doctor because aloe Vera can interact with medicines & shows side effects. Aloe Vera includes some high amounts of Protein, Collagen. The body spends more energy to digest the collagen Protein in the body & spending more energy helps in weight loss, simultaneously collagen protein also maintains muscle development. There aren’t too many identified side effects of aloe Vera juice, if the juice is taken properly. Side effects of intake of aloe Vera consists diarrhea, abdominal cramps, electrolyte imbalances and vitamin deficiencies. If you experience severe or constant side effects, stop using & consult your doctor. Menstruating women must consult the Doctor, before start consuming Aloe Vera drink for Weight Loss. Overweight? Magic of honey & ginger for fast weight loss. Olive oils are rich in monounsaturated fats. These fats are essential for reducing LDL cholesterol levels and increasing the HDL cholesterol levels. 1. Consuming one - two tablespoons of this oil is better than taking butter or other vegetable oils. 2. Add 1-2 teaspoon of olive oil in glass of carrot juice or beetroot juice and drink it once or twice a day. 3. Sprinkle 1-2 teaspoon olive oil on your regular fruit or vegetable salad.